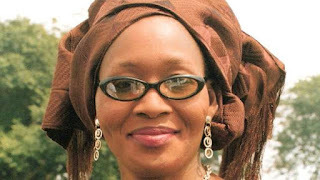 ‘I am an Idol, Nigerians Worship Me’ – Kemi Olunloyo Boasts! HomeEntertainment‘I am an Idol, Nigerians Worship Me’ – Kemi Olunloyo Boasts! Kemi Olunloyo has come again..This time around, she proclaims she’s an Idol, and every Nigerian Worship her. Kemi Olunloyo slammed fans who tweet her messages asking her for follow back or a friend request on facebook. According to Kemi, she is an idol, she’s been worshipped by Nigerians and everyone is either a fan or a follower.